Want me to speak at your school, library, festival, or event? I am currently scheduling through 2019. For more information or to book me, click on the button below. K. B. Hoyle is a multiple award-winning Young Adult author, a public speaker, and a creative writing instructor. She is represented by Ben Grange of the L. Perkins Agency in New York City. In addition to her many novels, she is a staff writer at Christ and Pop Culture and has contributed to a variety of online publications. She stays busy at her home in Alabama with her husband and their four young sons. Her speaking resume includes keynote speaking, leading writing workshops, and international experience as a featured panelist at the 2013 Sydney Writer's Festival in Sydney, Australia. For information on her many international awards, view the tabs below! K. B. Hoyle is a two-time recipient of the Readers' Favorite International Book Awards 5-Star Seal. She was honored with this award in 2016 (BREEDER) and in 2017 (The Girl in the Sea). 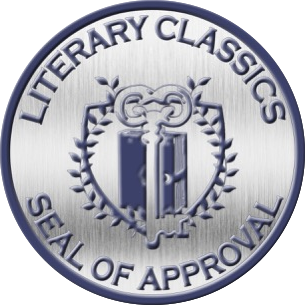 Each 5-Star Seal is accompanied by an extensive review. Below you can find the link to the review for BREEDER and the attached review for The Girl in the Sea. *Because The Girl in the Sea was an unpublished manuscript when it was reviewed, the the review is not active on the Readers' Favorite website. K. B. Hoyle received Award Finalist for The Girl in the Sea (unpublished manuscript version) in the 'Fiction-Tall Tales' category in 2017 from Readers' Favorite International Book Awards. You can read her Readers' Favorite review below and view the full list of 2017 winners, honorable mentions, and finalists. K. B. Hoyle won the Readers' Favorite International Book Awards Bronze Award for Young Adult Science Fiction in 2016 for BREEDER, book 1 in her YA Dystopian Trilogy, The Breeder Cycle. K. B. Hoyle won the Literary Classics International Book Awards Silver Award for Young Adult Science Fiction in 2015 for BREEDER, book 1 in her YA Dystopian Trilogy, The Breeder Cycle. K. B. Hoyle is a three-time recipient of the Literary Classics International Book Awards Gold Award. She won it for Best Young Adult Series in 2016 for The Gateway Chronicles and was honored with it in two categories--High School Science Fiction/Dystopian and College Science Fiction/Dystopian--for CRIMINAL, book 2 in her YA Dystopian Trilogy, The Breeder Cycle. You can follow K. B. Hoyle on Amazon, where you can find reviews of all her books. She loves hearing from her readers! You can reach her personally at author@kbhoyle.com, or find out how you can schedule her for a visit, event, or workshop here.